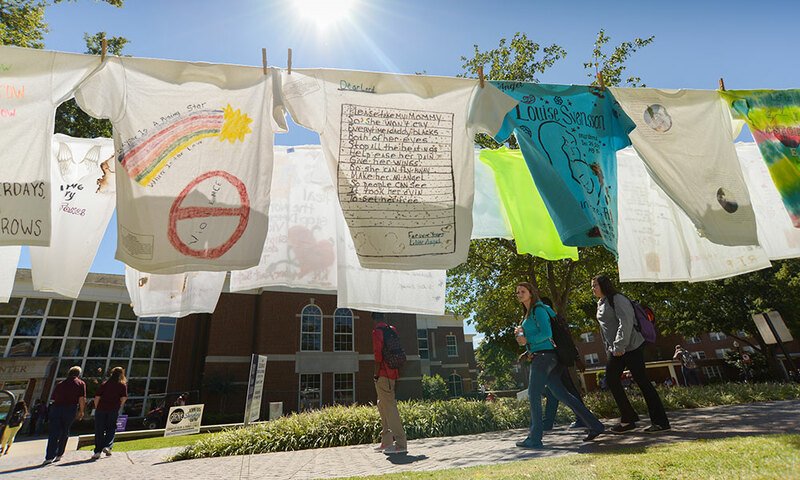 As part of the national Clothesline Project, members of the University community are invited to design t-shirts to create a visual display of the real impacts of sexual assault and interpersonal abuse, and to pay homage to victims and survivors. Shirts will then be displayed outside of the Goergen Athletic Center from April 3- 5 from 9 a.m.-4 p.m.
As part of Sexual Assault Awareness Month in April, survivors and allies are asked to tell their stories on t-shirts using words, artwork, and/or decorations. 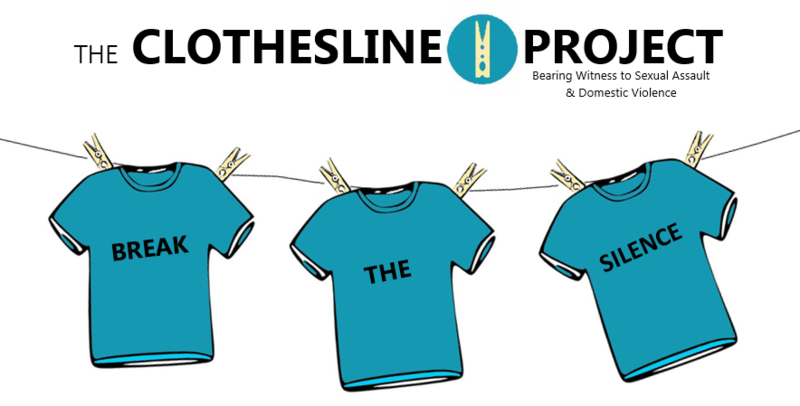 The mission of The Clothesline Project is to educate students and the community that violence is a problem everywhere, help is available, there is hope and a path to healing. Sponsoring University departments include: the Title IX Office, Department of Public Safety, University Counseling Center, College Feminists, and UR SEGway. For more detail on the Clothesline Project at the University, email Street at tiffany.street@dps.rochester.edu. For more information on the services provided by RESTORE, visit https://restoresas.org. RESTORE Sexual Assault Services holds hours on River Campus for students to meet with college advocates, Tuesdays and Wednesdays in Taylor Hall. RESTORE services are free and confidential.